If you don’t happen to have an automatic garage door yourself, you probably know someone who does, and if you’ve ever discussed it with them, chances are, you’ve heard some pretty favorable reviews about their unit. 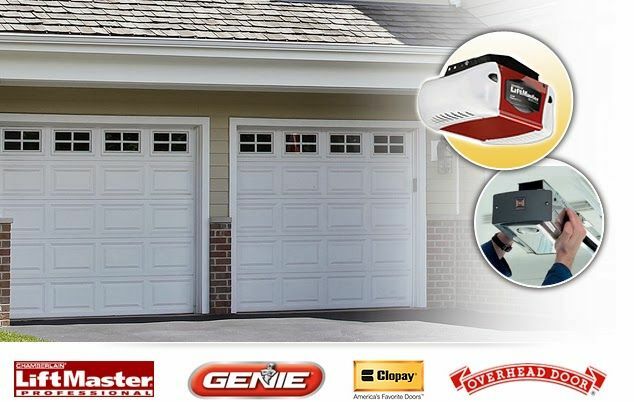 Automatic garage door openers have been around for nearly a century now, and in that time, they’ve found high favor with practically everyone who has bothered to have one installed, because they require little garage door repair or maintenance, and they are highly reliable. Here are some of the advantages of having an automatic garage door opener implemented at your home. Most people can guess the first big advantage – security. The most advanced models now incorporate usage of rolling codes that only you would have possession of, and which prevents access by anyone else. Also in the way of security, many models automatically close after you’ve left the garage, so if you happen to be the forgetful type, your garage door won’t stay open all day, as an invitation to intruders who might want to ‘borrow’ your garage goods. How often do you arrive or depart from home while it’s raining or snowing? When you have an automatic garage door, it won’t matter anymore, because you’ll never have to walk out into that weather in order to get to or from your vehicle to open or close the garage door. If you had a manual locking mechanism on your garage door, that might provide a measure of security, but you would probably get wet at least several times each year, opening or locking it. Modern automatic garage doors often have a ‘vacation mode’ which you can invoke from a control panel, which makes your home safer in the event that you will be gone for an extended period, such as when you’re on vacation. Some basic functions are completely disabled in vacation mode, so that any kind of clever remote that an intruder might have would be rendered helpless. The vacation mode itself would then be disabled at the control panel when you return from vacation, and are ready to restore normal functionality. The advances in modern technology have proven to be beneficial for automatic garage doors, which can now be controlled from smartphones after being integrated by a qualified service professional. There are also a great many more bells and whistles available on today’s automatic garage doors than ever before, including greater efficiency of energy usage, and built-in lighting, which provides convenient illumination for the garage itself, or for the pathway which leads to the garage. At night, this can be not only very handy, but also a nice safety feature.